A recent review of applications shows that the Macomb County Clerk / Register of Deeds office and the Planning and Economic Development Department lead the county in nominations for good government awards from the National Association of Counties ("NACo").  If the nominated programs receive awards, this would be the 25th year in a row that Macomb County leads the state in good government awards. The Macomb County Clerk / Register of Deeds office submitted eight programs and the Planning Department submitted five. A list of all programs is attached. Each year the National Association of Counties issues awards for good county government, including "achievement awards." The purpose of the awards is to nationally recognize county programs that enhance services, improve county management or promote intergovernmental coordination. Awards will be given later this year. "My staff and I are working to modernize the office and improve customer service," said the Macomb County Clerk / Register of Deeds. "Many of these programs would not have happened without the support of our county commissioners and I thank them." "We can be proud of our innovate programs and services," said Macomb County Commissioner Brian Brdak (D-New Baltimore). "Our employees work hard to provide valuable services to our community." "Our history of good government awards is another reason Macomb County is a great place to be," said Stephen Cassin, Planning and Economic Development Dept. Executive Director. In the past, the Macomb County Clerk’s office received awards for partnering with the Suburban Mobility Authority for Regional Transport ("SMART") to provide free bus service to jurors, putting public circuit court case information on the Internet, using electronic bar codes to process juror paperwork more efficiently, and for starting a personal protection order assistance center to help victims of abuse.